6 bedroom, 4 bathroom villa in the Sunset Lakes community. Owned by sharon baillie. Ref: 3602. 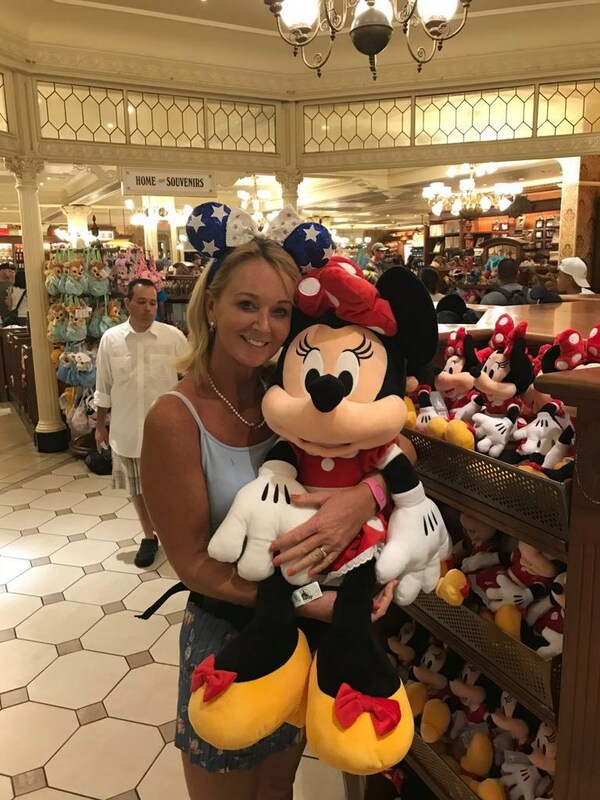 We are so proud of our villas and Sharon handles all the reservations herself and is happy to help you plan, what I’m sure will be a holiday of a lifetime for you and your family. We have a wealth of local knowledge and very experienced in the villas rental industry so you are in good hands when you reserve one of our villas. Brand New to the Rental Market!! Lakeview Villa, located in the ideally situated community of Sunset Lakes, offers you and your party the unique opportunity to spend your Florida vacation in a quiet rural setting, yet only a short drive away from the theme parks, restaurants, shopping malls and all the many attractions Orlando has to offer. •	Beautiful Lake View from the spacious extended deck ~ no looking at neighbours or walls at breakfast! Bedroom #2: Queen Bed ~ Large bedroom with flat screen 32’ flat screen TV, nightstands and a dresser with mirror and wardrobe. Bedroom #3: Twin Beds x 2 ~ large bedroom with flat screen 32’ TV, dresser with mirror, chest & walk in wardrobe. Bedroom #4: Twin Beds x 2 ~ large bedroom with flat screen 32’ TV, nightstands, dresser and mirror and walk in wardrobe. •	Games room with full size, slate top pool table ~ fun for the kids! •	Key collection and drop off at the villa – No offices to find! •	Conveniently located ~ This villa is only a few minutes’ drive to the hottest local attractions and theme parks with all the vacation fun you could soak up! •	Offers ultimate in rest, relaxation and great value – You’ll just love the luxury of being able to pop back to the villa to enjoy the midday dip in the pool. Sunset Lakes is located just off the main 192 West. Disney World Resort is approx. 5 minutes’ drive. Universal Studios Wet ‘N’ Wild, Sea World and the International Drive area 15–20-minute drive. There are many, many fabulous golf courses within a 5-minute drive. It’s just a hop, skip and jump to some of Orlando’s finest shopping, dining and entertainment venues. Orlando International Airport is 30 minutes’ drive. Sanford Airport is 1 hour drive. The fabulous beaches of the Gulf Coast are 1.5 hours’ drive away and the Atlantic beaches are 1 hour away. Return your completed booking form with a 10% deposit to hold the reservation. The final balance, plus a £150.00 ($250.00) refundable security deposit, is payable 10 weeks prior to departure. Access codes and directions are given at this time. An amazing villa! We've been coming to Orland for the past 20 years with my wife and our 7 children. This villa has been one of the nicest ones we've stayed at. It was clean, spacious, had a big pool with a nice view of the lake - perfect for sitting and enjoying your morning coffee! The location is great, very close to Disney, restaurants and shops. The owner, Sharon was great in all communications always responded promptly with answers to any questions. We had an amazing time, one of the best holidays so far, we would definitely stay here again! Just returned from a fabulous fortnight staying at Lakeview Villa. 11 of us in all, 5 children and 6 adults. The house is modern and stocked with everything we needed and more. Sharon has done a great job in renovating and it is very comfortable. Would highly recommend to any groups who want to be close to the parks and the strip. Thank you Sharon. OMG What A Beautiful Villa my Family & I Had A Fantastic Stay at Sharon's Villa It Had Everything you Could Wish For. Will Definitely Be Booking Again Hoping To Go back For My 70th Birthday June 2020 Plus Our 40th Wedding Anniversary Do Not Hesitate Booking This Villa. This is not our first stay in one of Sharon's homes, and now we would not stay with anyone else. The villa was thoughtfully designed to an extremely high standard, and the service provided during our stay could not be faulted in any way. It's lovely first thing in the morning sitting with a cup of tea on the patio and soaking in the beauty of the place as it is just so relaxing. Similarly to come back from parks and outings to dip in the pool then enjoy the tranquility of the view from the house is a great way to finish the day. Sharon clearly puts a lot of thought into ensuring her guests are well looked after and we cannot commend her and her staff highly enough. Our next visit cannot come soon enough! 2 weeks of fun and frolicking! Fantastic villa with everything you could hope for; including a well stocked kitchen, separate wine/beer fridge, gas BBQ, and great location for Walmart and all the Theme parks. Every morning we went for a run, it was lovely to go around the lakeside location, with shops and restaurants on our doorstep, we felt we couldn't have been better placed. Any teething issues we did have were quickly remedied and everyone had a super time! I would recommend this villa to anyone. This 6 Bedroom Villa is superb. It's been refurbished to a very high standard and wants for nothing. We were a party of 12 and this spacious Villa accommodated us all more than adequately, with everything you need and more. Set in an idyllic location, overlooking the lake, the pool and patio area has the sun all day. Convenient for local supermarkets and restaurants, and the Disney Parks are literally 10 to 15 minutes away. Dealing with the owner Sharon was a pleasure, she was very prompt and professional at all times. This was sixth occasion that we've been to Florida, and this Villa is by far the best, and highly recommended. Would love to return one day, thanks for the superb experience which made a great holiday. We were a party of 8 golfers who all needed there own space and this villa had it all. An incredible south facing vista around the pool, completely refurbished to the highest standards with a true eye for detail, amenities around the corner on the main road to Disney and an abundance of quality golf courses nearby. 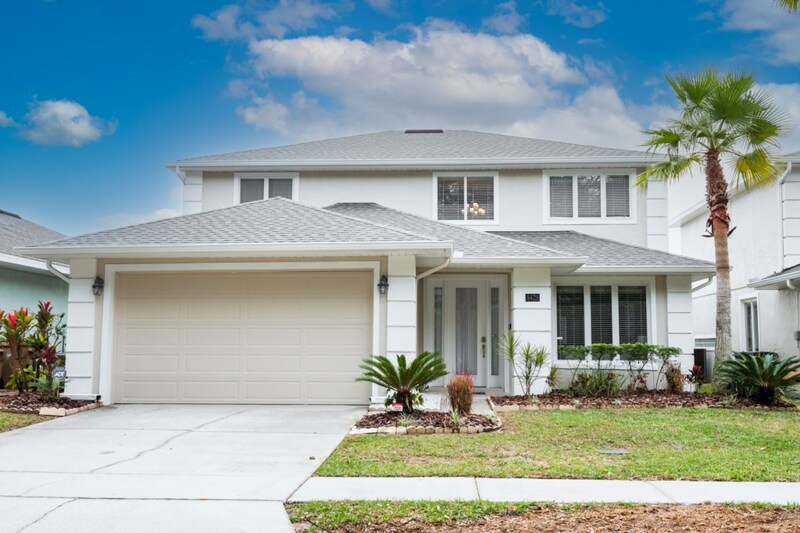 I have been lucky to have stayed in numerous villas in this area and without doubt this is the best value for money any where in Kissimmee - first class. We had the good fortune to meet Sharon, the owner and throughout our dealings with her she was very professional and extremely friendly. have just returned from a 2 week holiday with my family with ages ranging from 80 - 21. This villa has been recently refurbished to a very high standard. We have been lucky enough to have taken other holidays to Florida but never stayed so close to the attractions before. It takes 5-10 mins to Disney and 15-20 mins to Universal and SeaWorld Good selection of restaurants less than 5 mins away and Walmart a 5 min drive. We also used Uber a lot when going out for evening meals rather than drive and waited no longer than 5 mins and rates are cheaper than home! Fixtures and fittings are to a very high standard with everything you would need a more. In addition to the main TV each bedroom has a flat screen TV. Plenty of pool and house towels so no need to bring your own. Good outside space around the pool and not overlooked as directly next to the lake. When researching private villas you are always worried it is not a scam but as soon as we confirmed our booking we received all the information we needed by return, and Sharon the owner, always responded promptly with answers to any questions. Thanks again for a great holiday! Had a really great time and house was lovely. Stayed in 8428 this time and villa was really nice. Sharon had just renovated this one so virtually every thing was brand new and Sharon had missed nothing. All condiments and facilities well covered and Sharon popped round a couple of times to make sure everything was o.k. We rent from Sharon for January and February and have never been let down on attention to detail. Suspect after having had grand kids over for the water parks we will be making August as well on a regular basis. Lovely landlady and really great Villas. Your enquiry will be sent to villa ref 3602 only. This page has been viewed 9015 times since 11 Aug 2017.